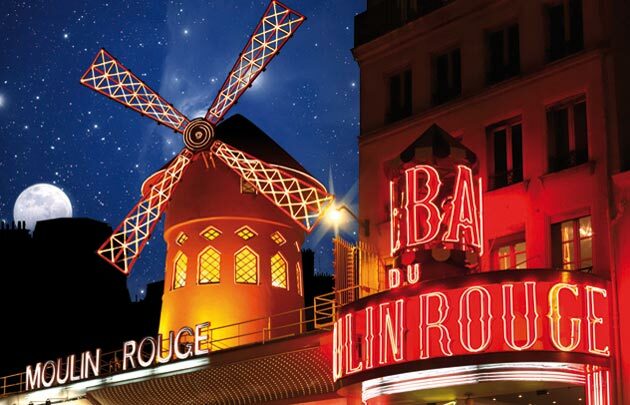 Spend an unforgettable evening in Paris on a small group tour including Paris’ symbolic sites: the Eiffel Tower, the Seine, the Moulin Rouge. 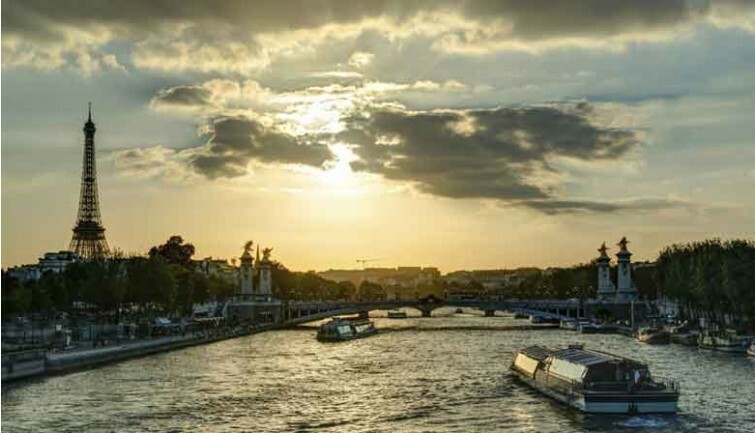 Your guide will pick you up from your accommodation in Paris from 5:30 p.m. onwards, in an air-conditioned minibus. He will take you to the foot of the Eiffel Tower where a fastpass ticket will allow you to quickly access the first floor. 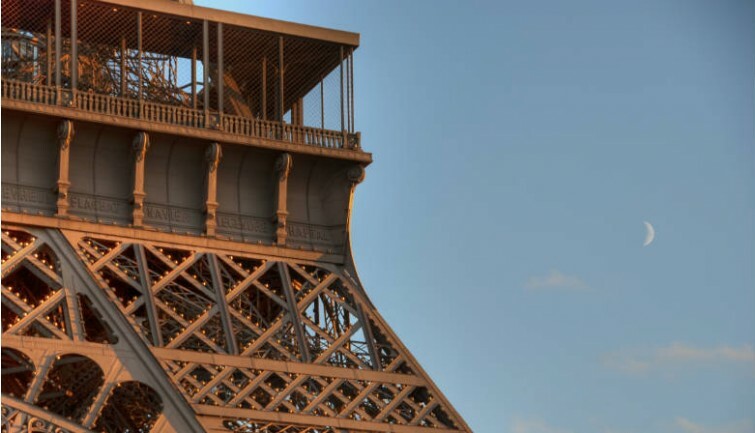 Sitting comfortably at the 58 Tour Eiffel restaurant, you will savor a delicious meal while relishing the panoramic view of Paris. After the meal, you will take the lift back down to the ground before embarking on a sightseeing boat for a unique experience. 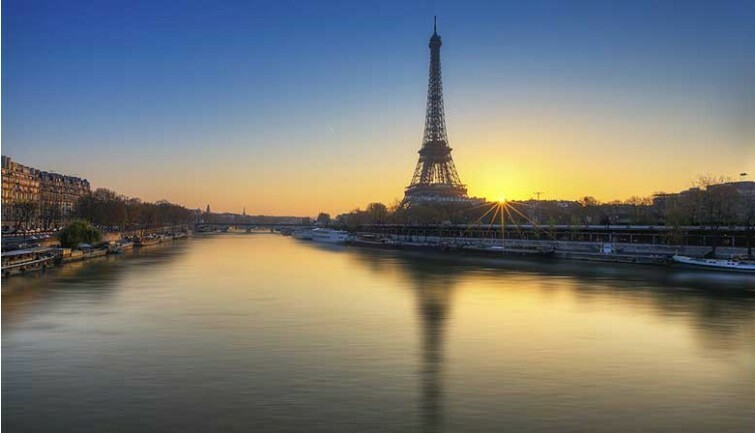 You will be charmed by this one-hour cruise which starts at quai de la Bourdonnais, situated at the foot of the Eiffel Tower: admire Paris’ main monuments lit up along the quays and the most beautiful bridges overlooking the Seine. A guided audio commentary in the language of your choice will present the history of Paris and the sites along the Seine. When you return to the quay, your driver-guide will drive you to the Moulin Rouge to attend the second show. Spend a magical evening at this famous Parisian cabaret, a Music Hall temple, and marvel at the Féerie revue. The troop, composed of the magnificent Doriss Girls and dancers-acrobats in sensational costumes, will put on an unforgettable show for you. 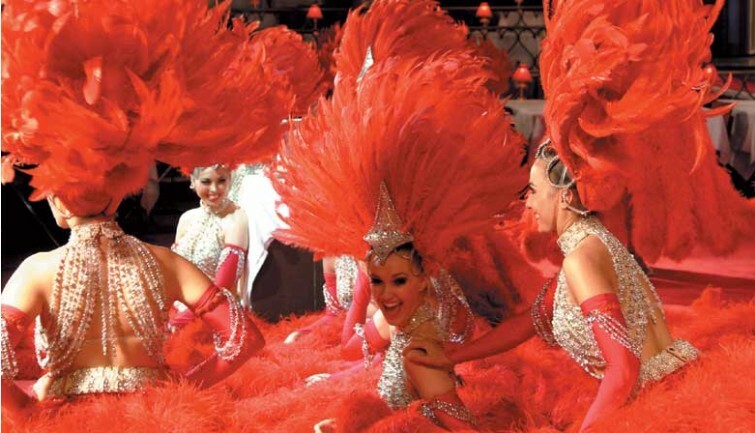 You can sip on champagne while you enjoy the spectacular acts, which include the legendary French cancan. Immerse yourself in this universe with its sumptuous decors and stunning artwork. When the show ends at around 1 a.m., your guide will take you back to your accommodation in Paris.